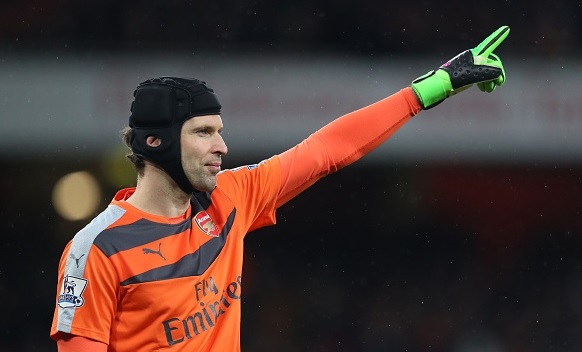 Arsenal latest injury news, Arsenal goalkeeper Petr Cech is set to return from his injury this weekend when the Gunners face Watford in a Premier League game. Arsenal goalkeeper Petr Cech is set to return from his injury this weekend when the Gunners face Watford in a Premier League game. The Gunners stopper has been out with a calf injury for the past few weeks, he is now set to return to action. Arsenal will host Watford in the Premier League game this Saturday. Cech picked up the calf injury against Swansea City earlier this month and has missed several of games including Champions League. With Arsenal now struggling in the Premier League, Cech has to regain his full fitness and perform at the best level in order to help Arsenal to secure a European spot. The Gunners are currently in fine form, before international break they beat Everton and continued their unbeaten run of three games in Premier League. Cech said while giving interview on Arsenal.com that he should be back once the international break is over. Furthermore, his injury was not that much serious. The North London side are 11 points behind league leaders Leicester City and with only 8 games left to be played it can be predicted that Arsenal cannot reenter the title race.